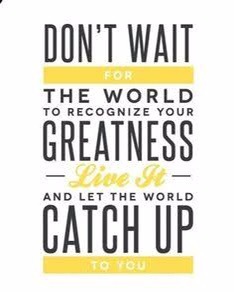 Live it and let the world catch up to you…. Because TBH the world is filled with selfish people. Some may see it and not even help you shine. But once you’re “there”… At the “top” they come flocking. Always stay gracious (no- not best revenge is your paper 😂. Even if it kinda could be 😌) but never forget who believed in you when it mattered. Next Post What are you using your voice for?